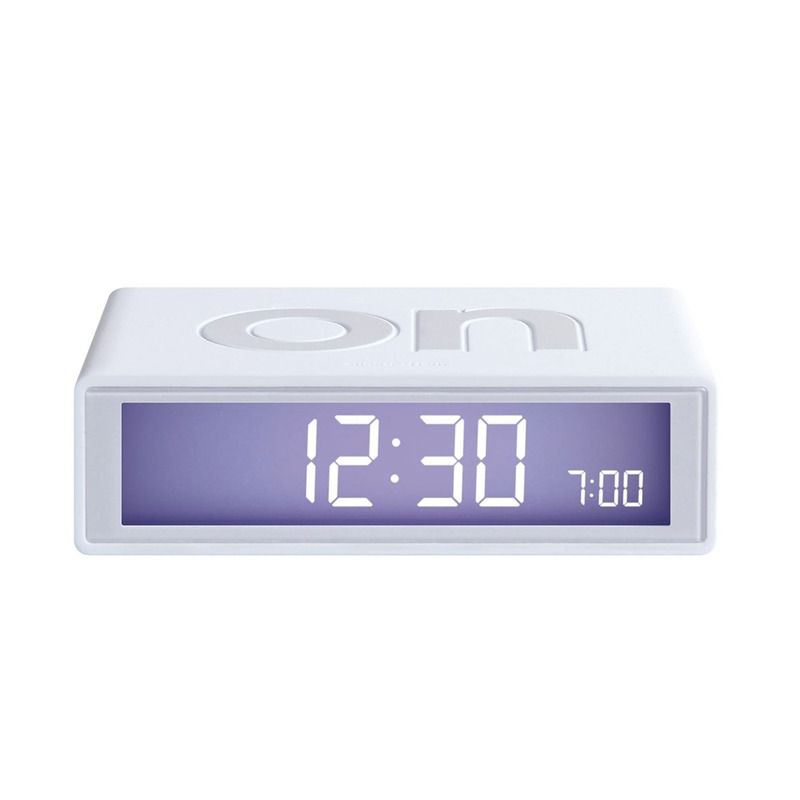 The white Flip LCD alarm clock by LEXON combines the functions of a clock and alarm clock in one sleek design. 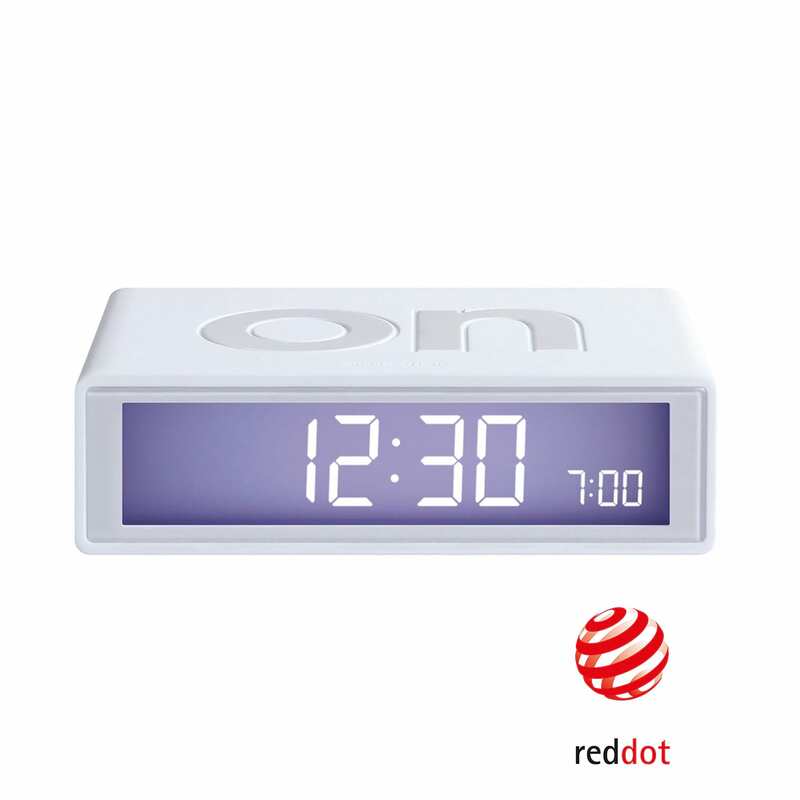 When the alarm goes off, you no longer need to blindly feel for a button, just flip the clock over to make it stop! 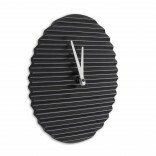 With casing made of ABS rubber the Flip LCD alarm clock by LEXON is the ultimate minimal addition to your nightstand. 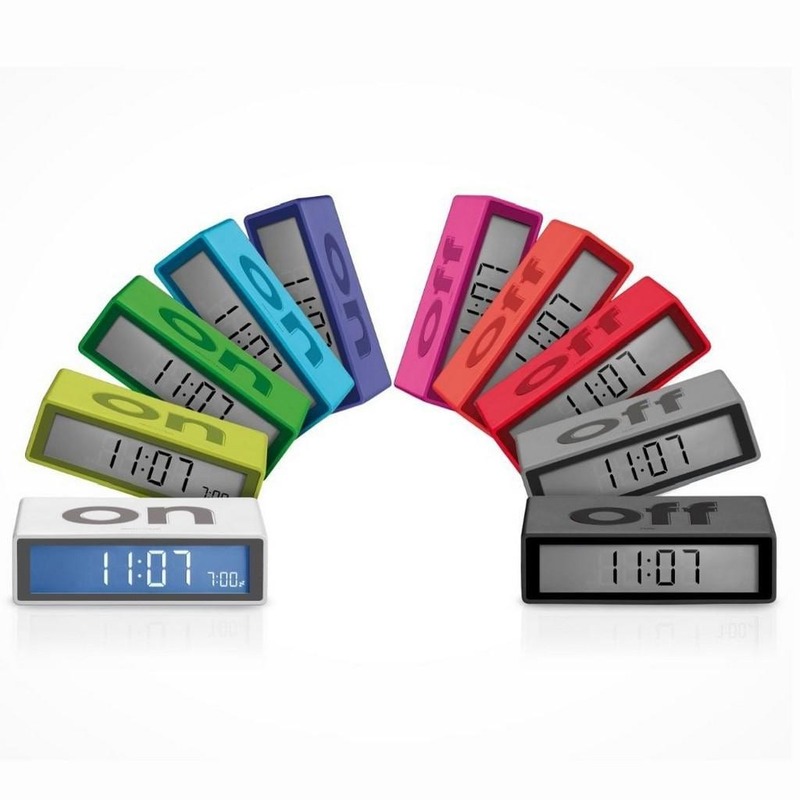 The Flip LCD alarm clock by LEXON stands in two ways, the “On” position and the “Off” position. After you set the alarm you place it at the “On” position. 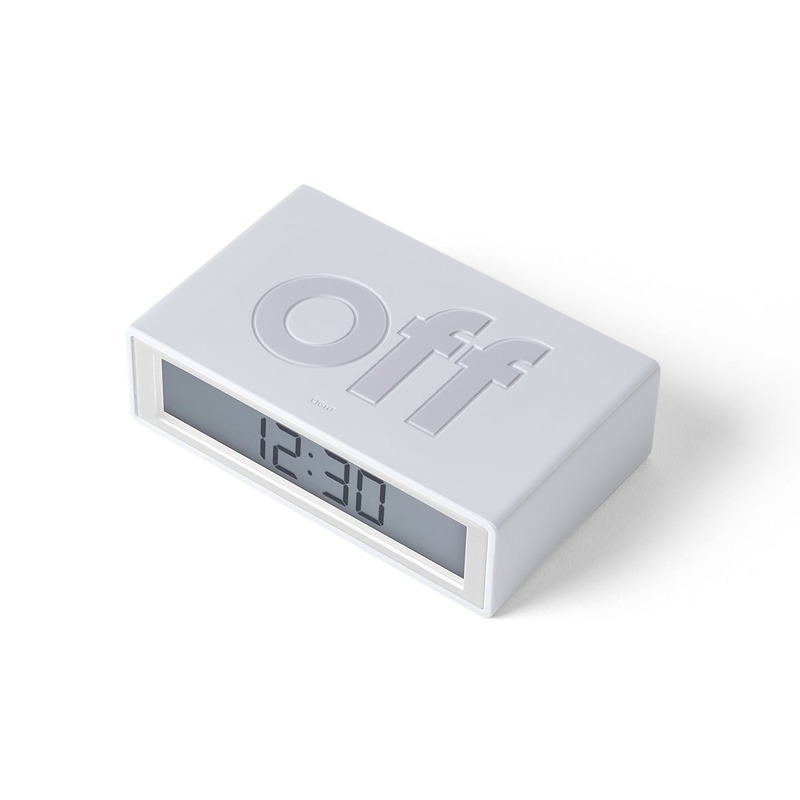 When it goes off you just flip it over it to the “Off” position to make it stop. 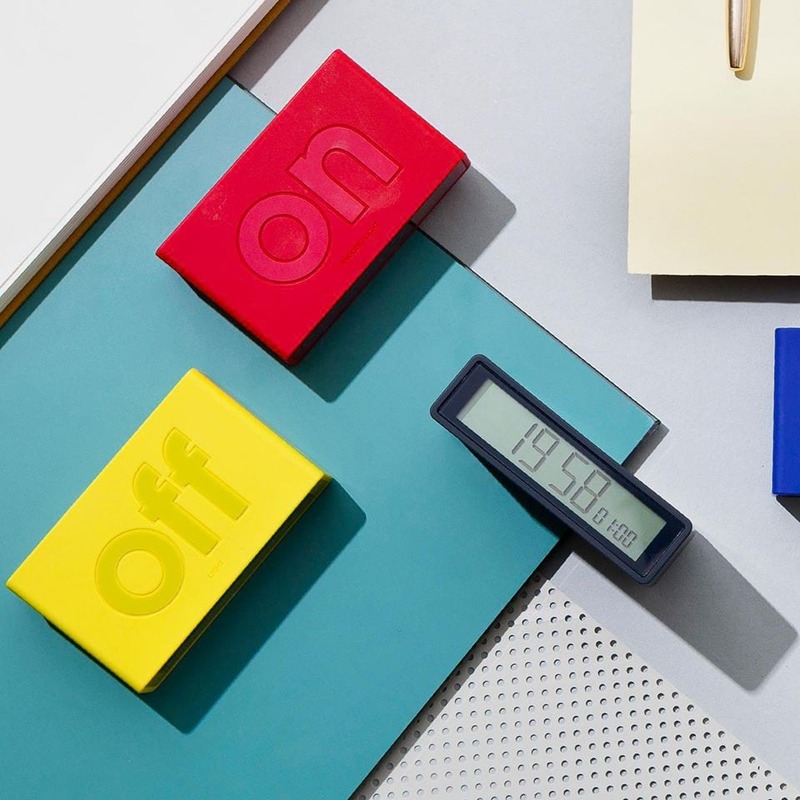 It features a touch sensor for the light and snooze function and a blue Electroluminous 24h display. 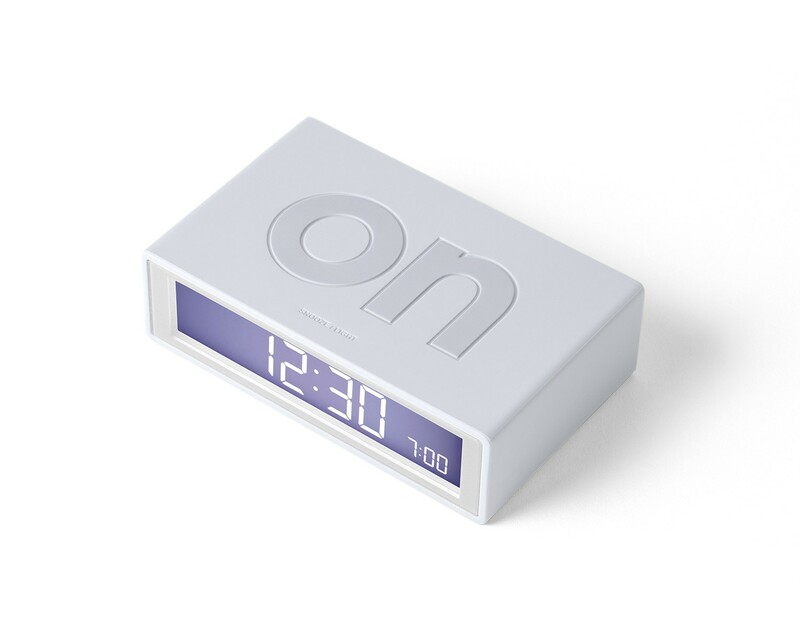 The Flip LCD alarm clock by LEXON uses two AAA batteries included in the package. Size (cm): 10,5 x 6,5 x 2,9 cm. 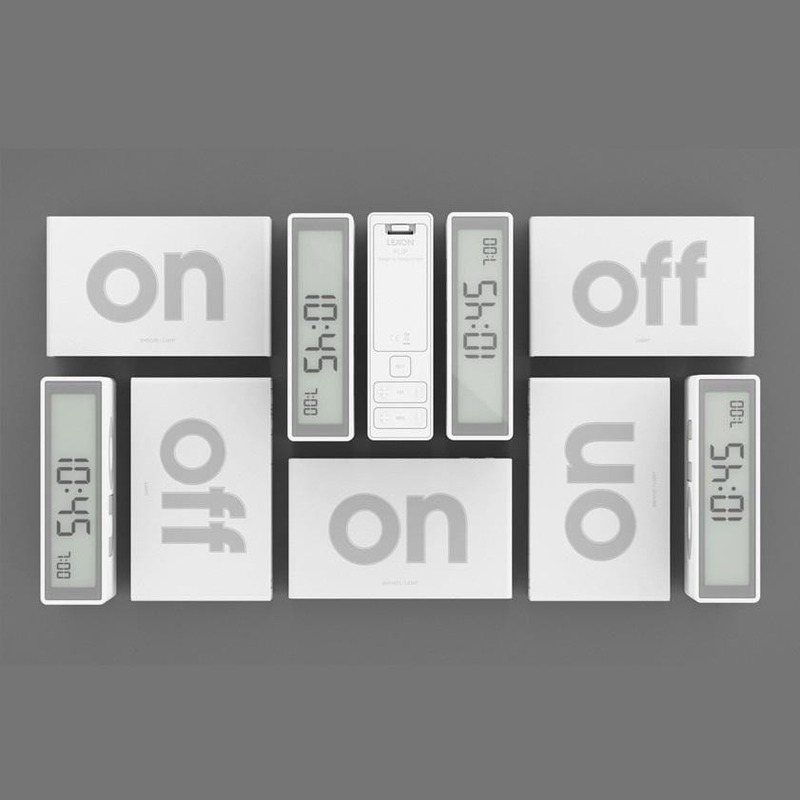 Touch sensor for light and snooze function.